I was lucky to be the few one invited to have a personalized session with our Lancôme Colour Design Artist (LCDA) to try out Lancôme New Teint Miracle in Midvalley. There is total of 8 shades to choose from. With 10 years of research behind it and 7 international patents pending, the All New TEINT MIRACLE is a base makeup product that promises to give radiance from within, recreating the aura of glowing skin. 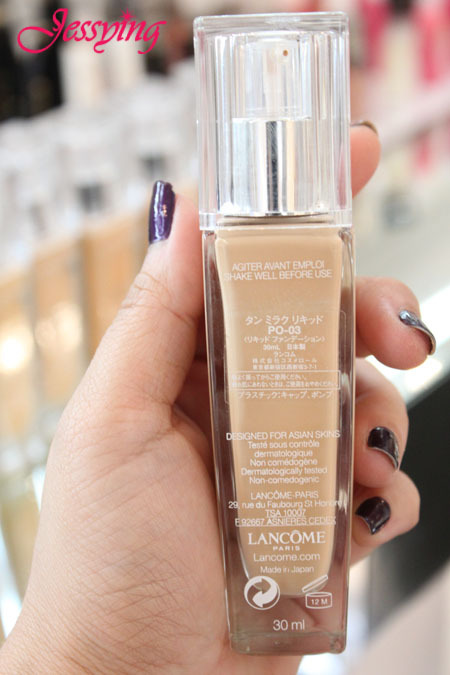 Lancôme compares this effect to ‘light emanating from our skin’. 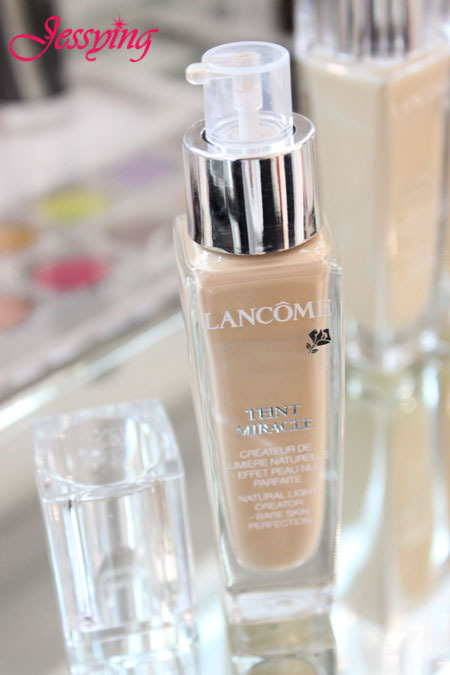 Quoted from Lancome Malaysia facebook, they claimed that Teint Miracle is the first foundation to improve the way your skin absorbs light. This super-light, largely water-based sheer texture is rich enough to provide a perfect complexion. With 10 times less fillers and a SPF 15, the formula hydrates the skin for over 18 hours for a luminous, light-infused, bare-skin effect. The result? Perfect skin, fresh and completely natural looking. Non-oily, non-comedogenic. So I am going to try and see if this is true ! Ms. Irene the LCDA , recommended that the right way in applying this foundation is using the circular motion so that it will create a radiance 3D effect on our face hence making it looking slimmer (did you hear me screaming!!!). 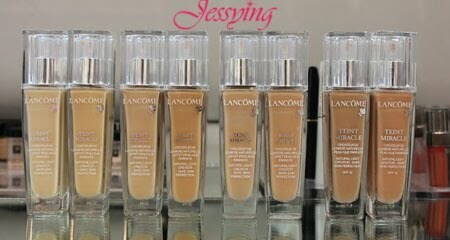 It is also a skincare foundation, as this can hydrates the skin for 18 hours! 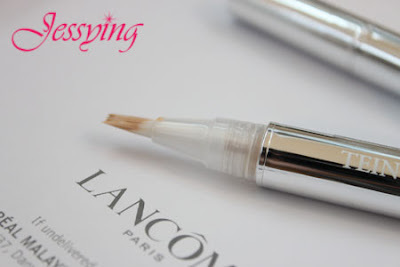 This is their latest concealer too, comes in 3 colours. Its a bit creamy in texture, however still sheer if compare with those in the market. It just sink into my skin perfectly. 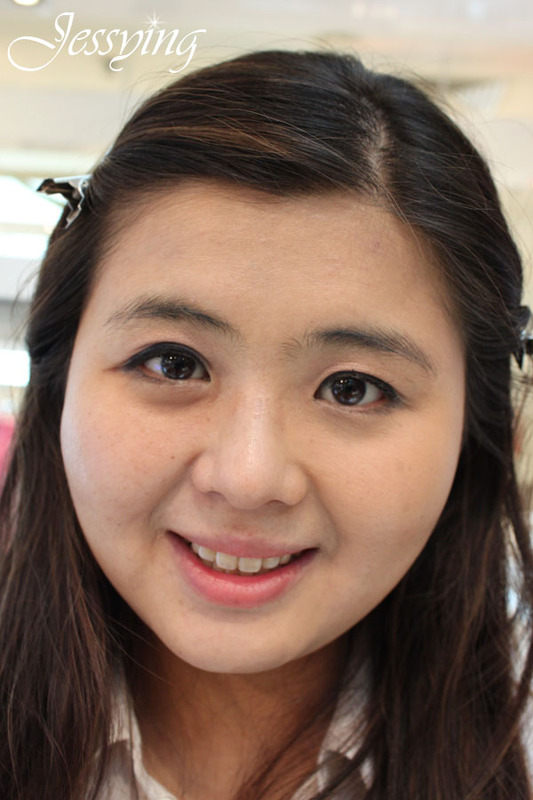 This is Ms. Irene the Lancôme Colour Design Artist who was trying the foundation on me. She chose PO-03 and it really matched with my skin tone color. I also try with myself, to feel the texture. 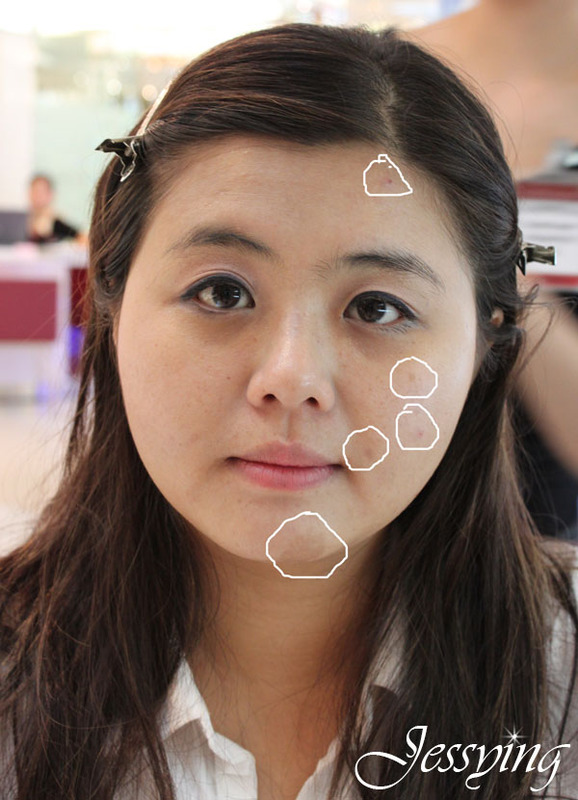 I circled all the pimples and scars that I am having currently (am having period >.< ) to compare with the after picture using the foundation and concealer. I think this is the foundation that give you the natural flawless look without looking like Chinese Opera actress. I like the texture of the foundation is really lightweight as it claimed. And it does give my face some glow but as for the 3D slimming effect I am not quite sure..
Can see from my before and after picture that the foundation provide me an even skin tone color and light/sheer coverage on the face, and pimples/scars are less visible ( this is medium coverage) This is something I would want to try using especially going for work where minimal coverage is good enough. Remember to redeem a 7 days supply in tube from them upon visiting them. Remember to catch them before this Sunday to try it yourself. RM115 for Lancôme New Teint Miracle Conceale 2.5ml. 30 ml of cost RM120. Tammy : This product just launched in Malaysia this week, so I think soon will be at Canada. Ah and your skin so nice, using this will be perfect combination! 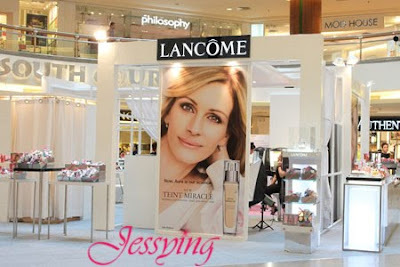 can i get sample from jusco maluri lancome counter?